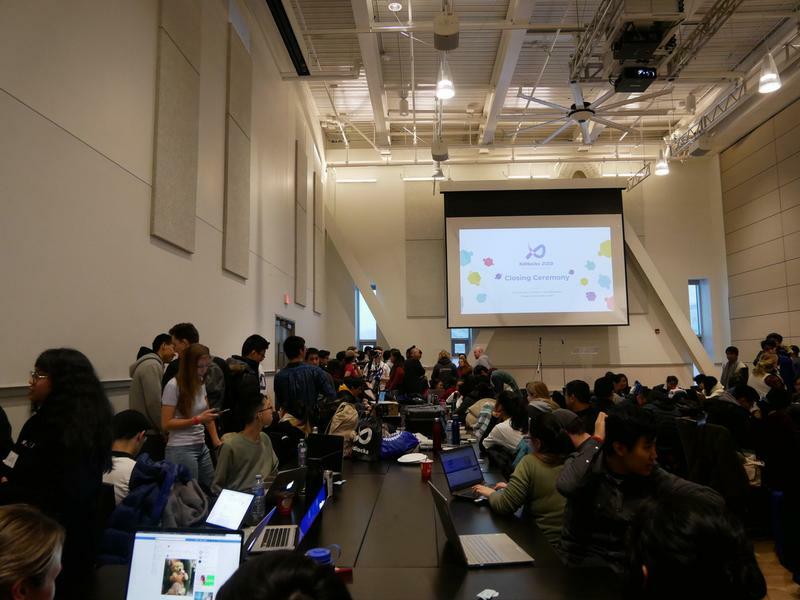 While many hackathons are geared towards computer science students and professionals, Louise Dong wanted to get “some new, fresh blood into [the] hackathon community.” As a result, she started XdHacks — a cross-disciplinary hackathon. In early February, the first XdHacks on the theme of sustainable health took place in the Nest, to explore ways to stay healthy and maintain one's health. Dong, president of XdHacks, explained that she and her team chose this topic because people are becoming more cautious about their health and monitoring it through smartphones and other devices. Over 200 participants in more than 40 groups worked for 24 hours on a specific problem in the health industry. Their problem had to be related to one of three streams: nutrition and health science, food and global resources, or a free path — giving participants the opportunity to work on diverse topics related to sustainable health. The solutions the participants came up with could include coding applications and other software, as well as other creative approaches: “It can be a design, it can be a prototype, so you don't have to be actually coding,” explained Dong. This creative freedom was to encourage more interdisciplinary participation from students who might not have as much coding experience. For many participants, XdHacks was their first hackathon. By involving specialists from different areas, the XdHacks team also aimed to give coding specialists more insights into specific industries. Dong explained that many “pure” coders in the past reported that they were only able to deal with surface-level problems in areas that demand outside technical knowledge to be fully understood. “Now that they have science students added into their group, they can actually solve deeper problems in this industry,” said Dong. Zerlina Wang — a third-year nutrition health and education student — and her group used XdHacks to create a game targeted at children and youth to improve nutrition and raise awareness about illnesses connected to dietary choices. Coming from different backgrounds — including computer science, health science, biotechnology and pharmacy — the group managed to design and create a game that should illustrate the connection between dietary choices and illnesses. “In reality, even most adults wouldn't know what happens if you have [a] riboflavin deficiency,” said team member and third-year computer science student James Zang, underlining the importance of the game. There were 11 judges evaluating the projects to choose 6 finalists. These six projects were then rated by a jury of five judges, who were university professors and industry professionals. The event had cash prizes for the top three projects, with a $1,000 first-place prize, and $500 and $250 for second and third place, respectively. Due to the event's success, Dong is confident that there will be another XdHacks next year.